Tommy Eveld does not have any MLB stats for the season. Draft: 2016, Arizona Diamondbacks, 9th rd. Tommy Eveld (EE-veld)…played baseball and football at USF…did not play baseball in high school…threw for 2,326 yards and 20 touchdowns as a senior at Jesuit High School in Tampa...brother of Indians farmhand Bobby Eveld. Combined to go 4-3 with 1.07 ERA (50.1 ip/6 er) and 0.93 WHIP in 45 appearances between Single-A Visalia (32 games) and Double-A Jackson (3) in Arizona's system, and Double-A Jacksonville (10) in Miami's system...Struck out 61 batters overall, and walked just 11....Tied for second place with 21 percent of fan vote for 2018 MiLBY's Relief Pitcher of the Year award following the season... Opened season on the 7-day disabled list with Visalia...Activated and made first appearance on April 16 vs. San Jose. Tossed 2.0 scoreless innings of relief, allowing two hits and striking out three...Earned California League Midseason All-Star honors after appearing in 21 first-half games, posting a 1.85 ERA with 26 strikeouts in 24.1 innings...27 of his 32 appearances for Visalia were scoreless. Limited opponents to two-or-fewer runs in the other five games...Had season-high four strikeouts on July 28 in final appearance for Jackson...Appeared in 10 games for Double-A Jacksonville after being acquired by Miami on July 31...Was three-for-three in save opportunities and allowed just one earned run over 9.2 innings, with 14 strikeouts...Had a 13.1-inning scoreless streak from July 8-August 8 between three teams (5 G Visalia, 3 G Jackson, and 3 G Jacksonville)... Pitched season-high 2.0 innings on five occasions and held opponents scoreless in each of those outings...Converted all seven save opportunities from July 10 to end of season. Allowed just three runs over 19.0 ip (1.42 ERA) with 25 strikeouts during that span...Went 1-1 with 9.39 ERA (7.2/8) in seven appearances for Salt River Rafters in Arizona Fall League, striking out six and walking six...Seven of the earned runs allowed came over two appearances (1.2 ip); had 1.50 ERA over his other five outings...Did not appear after October 31, returning home to get married. April 2, 2019 RHP Tommy Eveld assigned to New Orleans Baby Cakes from Jacksonville Jumbo Shrimp. 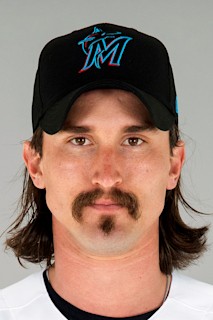 January 22, 2019 Miami Marlins invited non-roster RHP Tommy Eveld to spring training. August 2, 2018 Jacksonville Jumbo Shrimp activated RHP Tommy Eveld. July 31, 2018 RHP Tommy Eveld assigned to Jacksonville Jumbo Shrimp. July 23, 2018 RHP Tommy Eveld assigned to Jackson Generals from Visalia Rawhide. April 16, 2018 Visalia Rawhide activated RHP Tommy Eveld from the 7-day disabled list. April 2, 2018 Visalia Rawhide placed RHP Tommy Eveld on the 7-day disabled list. July 22, 2017 Visalia Rawhide activated RHP Tommy Eveld from the 7-day disabled list. July 18, 2017 Visalia Rawhide placed RHP Tommy Eveld on the 7-day disabled list retroactive to July 15, 2017. June 22, 2017 RHP Tommy Eveld assigned to Visalia Rawhide from Kane County Cougars. May 3, 2017 Kane County Cougars activated RHP Tommy Eveld from the 7-day disabled list. April 27, 2017 Kane County Cougars placed RHP Tommy Eveld on the 7-day disabled list retroactive to April 25, 2017. April 4, 2017 RHP Tommy Eveld assigned to Kane County Cougars from Hillsboro Hops. June 15, 2016 RHP Tommy Eveld assigned to Hillsboro Hops. June 13, 2016 Arizona Diamondbacks signed RHP Tommy Eveld.